Opening: Friday, 4 April 2008, h. 7 p.m. The gallery is open Monday – Friday 11 a.m./7.30 p.m. Saturday 4.30/7.30 p.m.
VM21 Arte Contemporanea gallery in Rome presents the first Elina Brotherus’ solo show in Italy. The exhibition is curated by Lorella Scacco and displays a selection of artworks from two recent series of the internationally acclaimed photographer, Model Studies and Points of View on Landscape, as well as a video, Montagne (2004). In the latest works the artist makes headway with her formal research, which was started in 2000, and is focused on the model. Elina Brotherus departs from the personal portrayals towards addressing universal themes, though she often remains present as the model. Brotherus positions human figures within interiors or landscapes, investigating their place in the natural world. These photographs seem to remind us of the Venus nudes of the XV-XVI century, of Claude Lorrain’s picturesque landscapes, Cézanne’s bathers, Pierre Bonnard’s bathrooms, or of the viewer facing backwards of Caspar David Friedrich’s work. Elina Brotherus was born in 1972 in Helsinki, Finland. She lives and works between Finland and France. Before graduating from the University of Art and Design Helsinki in 2000, she studied at the University of Helsinki, conferring a degree in analytical chemistry in 1997. 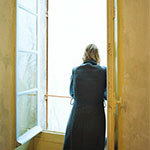 Elina Brotherus received prizes such as the Prix Niepce of Gens d’Image, France in 2005, the Carnegie Art Award’s Young Artist’s Stipendium in 2003, and the Prix Mosaïque in Luxembourg in 2001. In 2000 she won the Fotofinlandia Award. She has exhibited in Europe, Asia and America since 1997. Selected solo shows: The Wapping Project, London (2001 and 2004); Photo España, Botanic Gardens, Madrid (2002); Contemporary Art Centre Tinglado, Tarragona (2005); The New Painting, touring show started at The Finnish Museum of Photography, Helsinki (2006). Selected group exhibitions: the Istanbul Biennial (1999); NordenNorth, Kunsthalle, Wien (2000); Citibank Photography Prize, The Photographers’ Gallery, London (2002); Trasparente, MAXXI, Museo Nazionale delle Arti del XXI secolo, Rome (2003); Self-Timer, Kunsthalle Fridericanum, Kassel (2005); the Sidney Biennial (2006); National Art Center, Tokyo (2008). Her works can be found in public and private collections in Europe, Australia and the United States. The exhibit is part of the 7th Edition of Photography. The International Festival of Rome that will take place from April, 4 to May, 25 2008. The Festival is promoted by the Rome Town Hall and it is realised by Zone Attive under the artistic direction of Marco Delogu. The selected theme for this edition is “To see the ordinary. The photography tells the everyday life” that, according to Marco Delogu, is aimed at showing “how photography can be the best mean to depict the everyday life; a thought that originates from a desire to tell the ordinary versus the extraordinary”. The exhibit is under the patronage of Embassy of France and Embassy of Finland.